First of all, I’d like to thank a famous assignment writing service for help in preparing research articles. Forest is one of the most natural vegetation of Great Britain. Soon after the retreat of the ice 8000 years ago hazel and birch colonised the poor tundra soils. In the north of the United Kingdom these species remain with their own woodland communities. The Dwarf Birch forms a scrub community with heather in highlands. Birch woodland is a transitory community in lowland areas and with senescence gives way to oak and beech (see succession). These form very stable communities but have been reduced by man to only vestiges of their original cover. 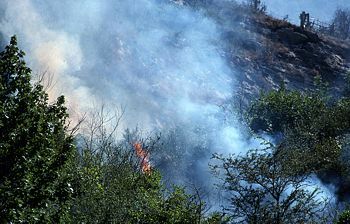 Slash and Burn by man has destroyed the forests so that no truly natural examples remain. Arguably, there are remnants such as Wistman’s Wood on a remote hill in Dartmoor and surviving parts of the ancient Caledonian pine forest in Scotland. Agricultural land and grassland have largely replaced these communities. Those that do remain are strongly influenced by human activity. 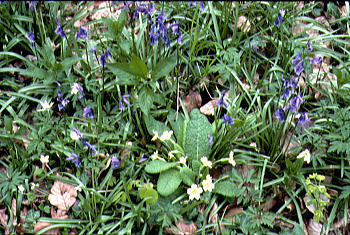 The soil type affects the diversity of organisms, for example, base-poor beech woods have ground cover of mosses whilst base-rich ones are carpeted with flowers in spring. Birch is a typical coloniser of poor soils, along with scot’s pine, e.g. heathland and northern regions. Oak grows on a variety of soils and has well developed shrub and field layers. Most of these woods show a degree of overlap. Beech is found on soils of all pH showing wide variation in the field layer. It prefers shallow, well drained soils. 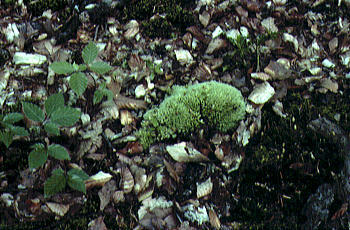 Ash is on lime soils and usually merge with beech to form a mixed wood. Alder/Willow woodlands develop on waterlogged soils forming a swampy habitat. This causes a drying out of the land and may be transitory in a succession process to end in oak. Beech woods and the importance of Soil: on acid soils the ground-cover is poor, typically with cushion mosses, whilst a base rich soil will encourage bluebells, primroses and other flowering plants. The trees mentioned above are the dominant plant within the woodland and form deciduous woods accept for the scot’s pine that is a conifer.